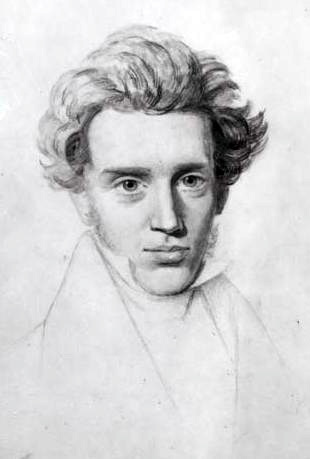 Soren Kierkegaard was considered by his contemporaries to have possessed an exceptional mind. When he died there arose a debate between those who wished him a normal burial and those who wanted his body given to science to discover the uniqueness that lay inside his skull. The family won out and buried him on a Sunday in the Church of Our Lady, a Lutheran Danish Church. For the Danish giant this created quite the scandal. For a good bit of his later life Kierkegaard was no friend of the State Church of Denmark. His feeling toward the clergy in the State Church was summarized in a way that left little doubt he did not like the clergy. When family discovered his note about his own burial they found a poem he wanted on his headstone. The last three lines betrayed his scathing attacks on the State Church, “and unceasingly, and unceasingly, speak with my Jesus.” Confusing to some that he would at once criticize the State Church but think fondly of chatting with Jesus. Colin Kaepernick stirred the emotions with his recent declaration that he will not stand for the National Anthem when played at his football games. Immediately his patriotism is questioned. His national allegiances are debated. Lost by some is the fact that the principle of freedom in America gives Kaepernich the right of conscience to question his Country. If that were denied then we would owe Britain an apology for our own secession. The common thread between these two illustrations? Both men criticized institutions they believe to threaten the message each institution proclaimed. Something is in the air. Maybe it is time to listen rather than condemn. We all may learn something. ** The material on Soren Kierkegaard is taken from Stephen Backhouse’s new book, Kierkegaard: A Single Life .